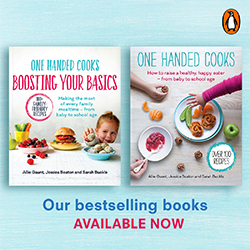 Introducing solids is a major milestone for Mums and bubs – one that can be fun, messy, delicious and sometimes challenging. You can start introducing solids from the time your baby is interested and ready, usually around 6 months of age. 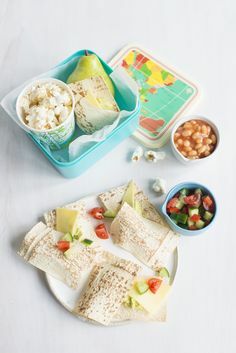 At this time baby’s nutritional needs, such as for iron, increase beyond what breastfeeding alone can provide but it’s still a good idea to keep breastfeeding while introducing solids. Research indicates this may also be a good time to minimise the risk of reactions to food as a baby’s developing immune system is ready to recognise foods, rather than see them as foreign and cause an allergic reaction. While the current Infant Feeding Guidelines no longer have recommendations on the order in which foods should be introduced or the number of new foods that can be introduced at a time, foods with a sweeter taste may be more readily accepted such as pumpkin, carrot and sweet potato. A smooth texture is also preferred and this is one reason avocado is a great food to start with. Avocados are a nutrient-rich plant food with almost 20 vitamins and nutrients such as vitamin C. Adding vitamin C to foods that contain plant iron can help the body absorb the iron, plus avocados are low in sodium which is good for developing kidneys. 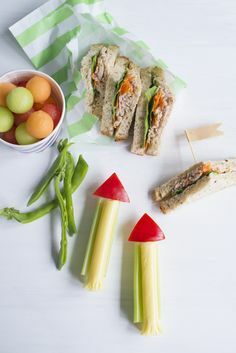 For toddlers moving onto finger food, avocado is also a great way to help your child to experiment with taste and texture as well as develop hand eye coordination. Avocados make ideal dips for vegetable sticks, an excellent healthy fat substitute for a sandwich spread, and are a perfect low salt, low sugar alternative to many processed snacks. What serving size do babies and toddlers need? About 50g is a ¼ of a larger avocado or a 1/3 of a smaller avocado. Avocado size can vary from shop to shop and season to season. Energy – All that wriggling and growing takes a lot of energy. A quarter of a larger avocado (50g) provides around 300kJ of energy to help fuel growth and development. Healthy fats – The monounsaturated “good” fats in avocados help absorb fat-soluble vitamins and colourful carotenoid pigments from fruit and vege that promote eye health. Fibre – To help keep your baby regular especially during this time of dietary change, avocados are a welcome fibre boost. A quarter of a larger avocado (50g) provides around 2g of fibre. Folate for growth – This B group vitamin plays helps little bodies grow by assisting with cell division and blood formation. Avocado is a rich source of folate with 50g providing 60micrograms or about 100% of your baby’s RDI at 6 months of age or 50% RDI for 1-3 year olds. Packed with vitamins – A rich source of vitamin C and vitamin E providing 11milligrams and 1milligram of each. This is around 50% of the vitamin C RDI and 25% Vitamin E’s RDI for 6 months olds. Vitamin C helps make collagen for skin and gums and vitamin E works with vitamin C to protect the wall of every cell in their body. Loads of minerals – Avocados contain a wide range of minerals for 6 month olds including 60% RDI for potassium, 44% RDI magnesium, 63% RDI copper, 25% RDI phosphorus, 25% RDI for zinc. As a first food, simply mash or puree avocado as a quick and easy alternative to store-bought baby food. Convenient food that’s quick to throw in the nappy bag when you are in a rush. Perfectly package in its own skin and easy to cut and mash with a fork when you are out and about. As their eating progresses, mix mashed avocado with pasta for a tasty dinner. For teething bubs, try spreading avocado on finger toast for sucking and chewing. For toddlers to teenagers, blend avocado to form a smooth texture and serve with fruit or vegetables sticks for dipping. Just remember when it comes to starting solids, it’s important to keep trying different foods and flavours even if your baby refuses the first few times, or makes funny faces, as it takes time for them to become accustomed to a different texture and flavour in their mouth. 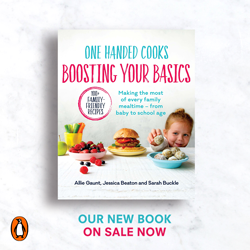 Let them play with the food and try not to stress – it’s all about making mealtimes fun. It’s also easier to relax watching them squish glorious green avocado in their little fists when you know of the goodness they are getting with each mouthful that actually makes it in. Lisa Yates is an Advanced Accredited Practising Dietitian who works for Australian Avocados. She has 20 years experience as a dietitian and health professional. During this time she has worked as a consultant dietitian and has consulted for the Australian Avocado and Australian Tree Nut Industries. Lisa is also a regular contributor in the Medical Observer and has a wealth of knowledge about the benefits of healthy fats in the diet.